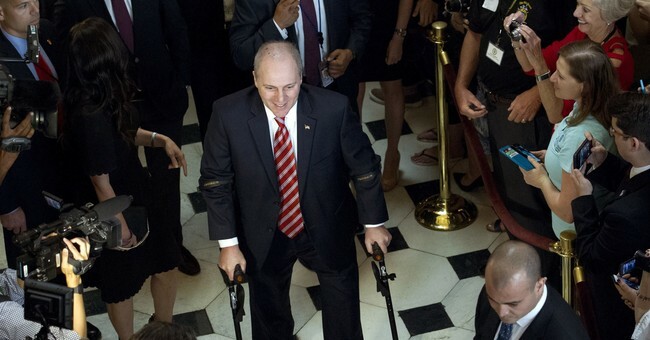 A source confirms that one of the lawmakers targeted w/ violent threats by this man was... @SteveScalise. Carlos Bayon, 63, was arrested and charged with interstate communication of a threat...The voicemail reportedly said: "Hey listen, this message is for you and the people that sent you there. You are taking ours, we are taking yours. Anytime, anywhere. We know where they are. We are not going to feed them sandwiches, we are going to feed them lead. Make no mistake you will pay. Ojo por ojo, diente por diente (Spanish for "an eye for an eye, a tooth for a tooth). That is our law and we are the majority. Have a good day." ...Both calls were traced back to Bayon. If convicted Bayon could face a maximum penalty of five years in jail, a $250,000 fine, or both. It's never fair to judge a political movement by its most unhinged nutters. It's a lazy, demagogic silencing tactic. I should add that it's especially unfair to falsely assume someone is an ideologue, in order to totally baselessly smear your political opponents and chill their speech. But the notion that the stuff of "dark carnivals" is relegated to one end of the ideological spectrum is garbage. Within the last year, leftist cretins have shot Republicans, attempted to drive them off the road, attacked them on their property, leveled vicious and racist threats against them, hounded them out of restaurants, and accosted them at their homes. And let's not forget the menacing packs of left-wing radicals who've beaten Trump supporters, driven right-wing speakers away from college campuses, and disrupted or canceled other civic events through mob violence. I also seem to recall that elements of the 'Occupy' crowd being pretty horrible.